Your guide to becoming an explanation specialist. You've done the hard work. Your product or service works beautifully - but something is missing. People just don't see the big idea - and it's keeping you from being successful. Your idea has an explanation problem. 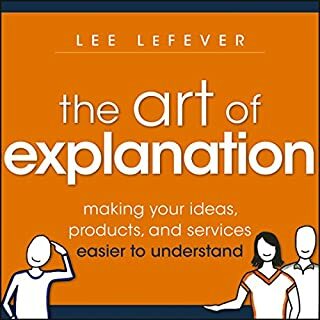 The Art of Explanation is for business people, educators, and influencers who want to improve their explanation skills and start solving explanation problems. Very Good Ideas, Very poor example. Saying the right thing the right way can make the difference between sealing the deal or losing the account, getting a promotion, or getting a pink slip. It's essential to be pitch perfect - to get the right message across to the right person at the right time. 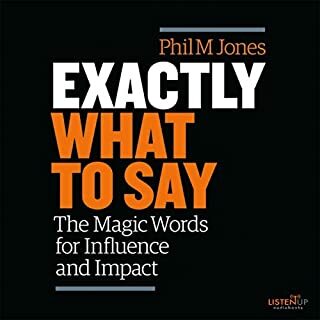 In Pitch Perfect, Bill McGowan shows you how to craft the right message and deliver it using the right language - both verbal and nonverbal. In the hypercompetitive world of Silicon Valley, this question has replaced "What's your pitch?" It's another way of asking, "Who are you?" 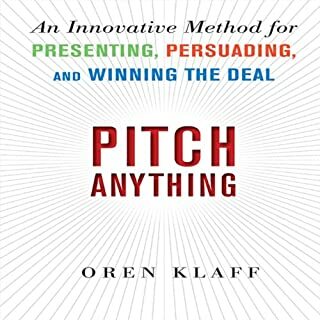 The art of the pitch is nothing short of a survival skill. If an entrepreneur can't convince an investor in 10 minutes that a business idea has potential, that is often the end of it. If a project manager in a large enterprise can't win support from other stakeholders, his or her project is at risk. You always need to be selling yourself, pitching your partners or your clients to work with you, or pitching what makes your new business an exciting and worthwhile investment. A former mentor at 500 Startups, where she was a pitching coach to world-changing companies at one of the largest incubators in the US, Perruchet shares her proven methodology, insider advice, and hands-on exercises. 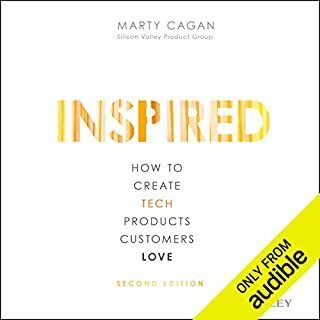 She provides a step-by-step framework that ensures you are pitch perfect whenever you need to sell an idea, a product, a business - or yourself. 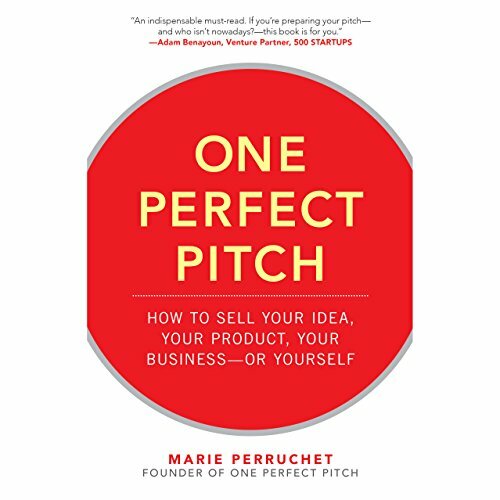 Marie Perruchet is the founder of One Perfect Pitch, a San Francisco-based consulting firm. 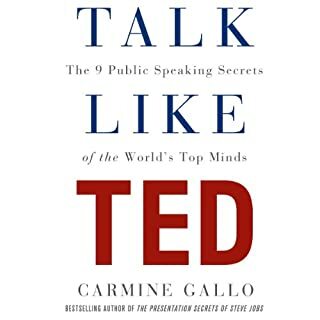 Drawing on her experience as a BBC journalist and news correspondent, she works with business executives to shape their stories and deliver effective pitches. As a former mentor at 500 Startups, the largest accelerator program in the US, she helped prepare startup founders and entrepreneurs for Demo Day, when they pitch venture capital funds and angel investors. Her clients include multinationals, tech incubators and accelerators, startup founders and entrepreneurs, and portfolio companies. Perruchet also coaches C-level executives from around the world and has been featured in the Wall Street Journal, Marie Claire, and Le Monde. The narration was very poor. Voice was soothing and soft and slow and horribly dull. I had to increase speed to 150% just to stay awake to hear the content. 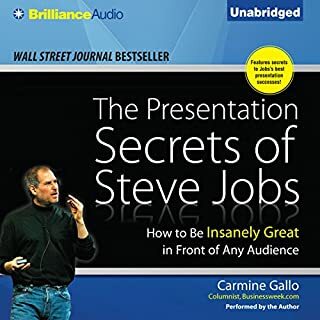 If this audio book itself is supposed to be a "perfect pitch," it failed completely. Wow.